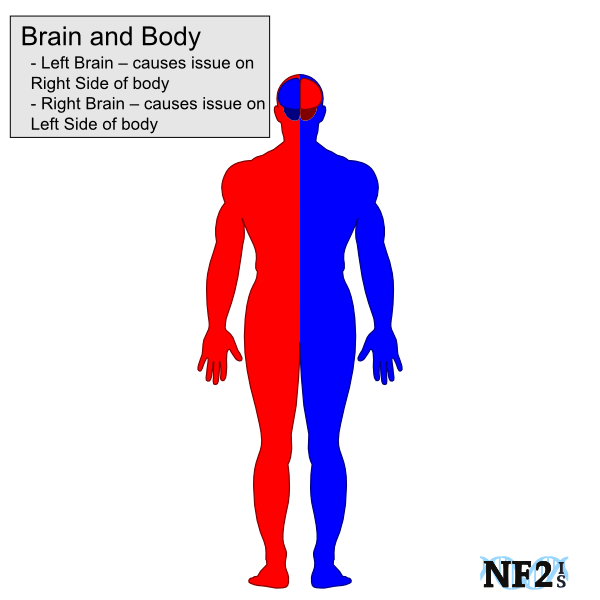 Brain Tumors: It is common for individuals with neurofibromatosis type 2 (NF2) to develop epilepsy, as a result of brain tumor growth. Tumors: It is not uncommon for people with brain tumors to develop epilepsy. Seizure Types: There are different seizure types; each type results in different physical responses. Facial Nerve Damage: Individuals with either facial nerve damage/face palsy or trigeminal nerve damage/trigeminal neuralgia and suffer a seizure, and seek medical attention for a seizure, should immediately inform doctors the paralysis is unrelated to the seizure incident. Trigger: If an individual has epilepsy, flashing lights can trigger a seizure. Driving: It is dangerous to drive and illegal in most states for months or years after suffering a seizure. Pregnancy: Most medications for seizure management are dangerous for the fetus and dangerous if taken while pregnant; if considering pregnancy talk to a doctor about medication options. Epilepsy is a brain condition in which a person has repeated seizures over time. Seizures are episodes, or incidence, of disturbed brain activity. 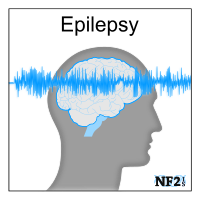 A person is considered epileptic (to have epilepsy); following more than one seizure. There are many types of seizures each type can result in different physical responses, but stokes and seizures can cause weakness on one side of the body. Patients need to immediately inform medical care if they have facial nerve damage, for proper aid in seizure instead of a stroke. Damage on the left side of the brain, would cause a seizure on the right side of the body. Damage on the right side of the brain, would cause a seizure on the left side of the body. Epilepsy occurs when permanent changes in the brain cause it to be too excitable or irritable. As a result, the brain sends out abnormal signals which might happen once. A single Seizure that does not happen again is not Epilepsy. Surgery: Glial Scars, or Brain matter shift after tumor or lesion removal. Drug-based Tumor Treatment: A drug-based tumor treatment, all of which are in clinical trials for NF2 tumors, may result in epilepsy if brain tumor sizes change dramatically in a short period. TBI from; 1) Brain tumor burden, 2) rapid brain tumor growth, 3) brain radiosurgery, and 4) brain surgery the most likely reasons for an individual with NF2 to develop Epilepsy. The risk from Drug-Based treatments is possible but unlikely since none of the drug-based treatments to date change NF2 tumors quickly or by a large percent. It is possible but not common for NF2 tumors to result in Strokes. A Seizure situation on one side of the body is the result of an issue on the other side of the brain, similar to Strokes. 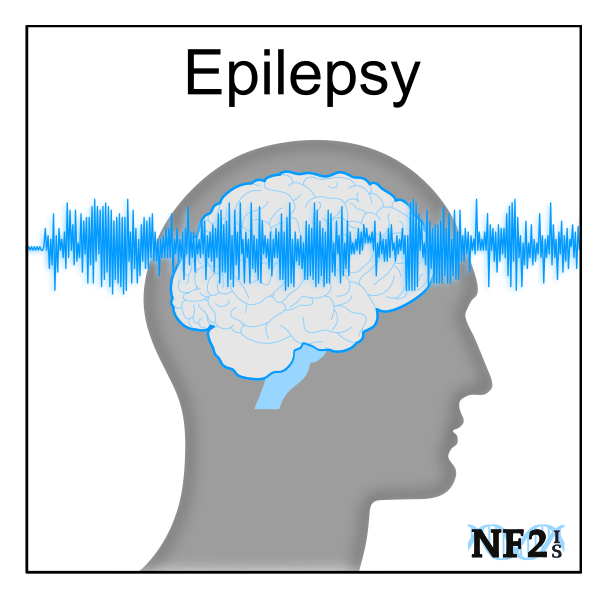 Individuals with NF2 may only face epilepsy for a few years during healing, the adjustment of tumor changes, or recovery of surgery. Many surgeons often prescribe Epilepsy medication for a few months following tumor treatments. While a regular Neurologist may be able to diagnose and prescribe medication for epilepsy, an epileptologists might be needed for additional tests to understand an individual's situation better and would be more knowledgeable about different epilepsy treatments. People with epilepsy often have abnormal electrical activity seen on this test. This test might be done to determine the entire region of the brain damaged and causing Seizure activity. An aura is a perceptual disturbance experienced by before a seizure begins. It often manifests as; the perception of a strange light, an unpleasant smell, confusing in thought clarity, or experiences. medication - incident from a drug trigger may be either a; prescription, over-the-counter medication, or supplement. Epilepsy treatments include; 1) daily medication, 2) medication on the onset of an aura, and 3) sometimes requires surgery. When the cause of seizures is tumor growth the treatment would also require tumor management, since seizures the result of tumors are not always controllable with medication alone. With the development of epilepsy, management of seizures is medication taken daily. Without seizure incident, while taking medication daily, after two-five-years, a doctor may recommend a medication to take only during the onset of a seizure aura. Other reasons for changes in medication include pregnancy since many seizure medications are dangerous to the fetus if taken when pregnant. Change in medications should only occur with the approval of a doctor. The medication Epidiolex is approved by the FDA in every state as epilepsy drug, but only when an individual has either dravet syndrome or lennox-gastaut syndrome. - For road safety, most states in the US restrict ability to drive for anyone who has had a Seizure. The duration is between 6 months and 2 years, but this also allows an individual access to different Free Travel Options. - Steps should be taken to guarantee pregnancy cannot occur while taking any medication for Epilepsy. Medications can cause birth defects if a child lives full term if a mother is taking medications. Talk to your doctor about Birth Control Options. If you are planning to become pregnant and taking medications for epilepsy, talk to your doctor. Seizures are generally described in two major groups, Primary Generalized Seizures and Partial Seizures. Primary generalized seizures begin with a widespread electrical discharge that involves both sides of the brain at once. Partial seizures begin with an electrical discharge in one limited area of the brain. Many different things can cause partial seizures, for example head injury, brain infection, stroke, tumor, or changes in the way an area of the brain was formed before birth, called Cortical Dysplasia. Symptoms vary from person to person. Some people may have simple staring spells. Others have violent shaking and loss of alertness. The type of seizure depends on the part of the brain affected and cause of epilepsy. Motor Seizures. These cause a change in muscle activity on one side of the body. For example, a person may have abnormal movements such as jerking of a finger or stiffening of part of the body, not the face or head, and can result in Dropfoot. Sensory Seizures. These cause changes in any one of the senses. Autonomic Seizures. These cause changes in the part of the nervous system that automatically controls bodily functions. Psychic Seizures. These seizures change how people think, feel, or experience things. Absence Seizure also known as Petit Mal. An absence seizure causes a short period of "blanking out" or staring into space. Eye blinking or slight jerking movements of the lips may occur. Muscles suddenly lose strength - The eyelids may droop, the head may nod, and the person may drop things and often falls to the ground. Rapidly alternating contraction and relaxation of a muscle - The movements cannot be stopped by restraining or repositioning the arms or legs. Shock-like jerks of a muscle or a group of muscles - rapidly alternating contraction and relaxation. Muscle "tone" is the muscle's normal tension at rest. In a "tonic" seizure, the tone is greatly increased and the body, arms, or legs make sudden stiffening movements. Tonic-clonic Seizures also known as Grand Mal. The tonic phase comes first, all the muscles stiffen. Air being forced past the vocal cords causes a cry or groan. The person loses consciousness and falls to the floor. The tongue or cheek may be bitten, so bloody saliva may come from the mouth. The person may turn a bit blue in the face. After the tonic phase comes the clonic phase: The arms and usually the legs begin to jerk rapidly and rhythmically, bending and relaxing at the elbows, hips, and knees. After a few minutes, the jerking slows and stops. Bladder or bowel control sometimes is lost as the body relaxes. Consciousness returns slowly, and the person may be drowsy, confused, agitated, or depressed. A seizure that lasts more than 10 minutes, or three seizures without a normal period in between, indicates a dangerous condition called Convulsive Status Epilepticus. This requires emergency treatment. These seizures are called "secondarily generalized" because they only become generalized (spread to both sides of the brain) after the initial event (a partial seizure) has already begun. They happen when a burst of electrical activity in a limited area (the partial seizure) spreads throughout the brain. Sometimes the person does not recall the first part of the seizure. Non-Epilepsy Seizures also known as Psychogenic Seizures. The seizures most often act like complex partial or tonic-clonic (grand mal) seizures. - Psychogenic seizures are caused by subconscious thoughts, emotions or 'stress', not abnormal electrical activity in the brain. For each seizure note the date, time from start to finish, seizure issues, possible triggers, and if there may have been an aura. Multiple smartphone apps are available for this. Seizure tracking may allow for reduction of seizures later, or allow for safety precautions before next seizure incident. 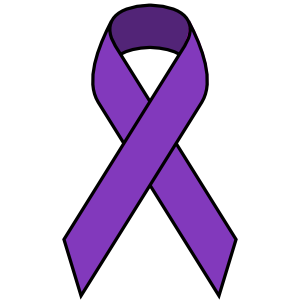 Purple Day: March 26 is International Epilepsy Awareness Day. "Report: "Anti-epileptic medication has dental health implications." (2003) Epilepsy Action. (2018) Howe, John, et al. "Intraoperative seizures during craniotomy under general anesthesia." Seizure 38 (2016): 23-25. (2002) Oberndorfer, S., et al. "The frequency of seizures in patients with primary brain tumors or cerebral metastases. An evaluation from the Ludwig Boltzmann Institute of Neuro-Oncology and the Department of Neurology, Kaiser Franz Josef Hospital, Vienna." Wiener Klinische Wochenschrift 114.21-22 (2002): 911-916. Quote: "Therefore, especially in brain tumors where a higher probability of epileptic seizures is expected, they should be taken into account in the care of cancer patients." (1988) Daumas-Duport, Catherine, et al. "Dysembryoplastic neuroepithelial tumor: a surgically curable tumor of young patients with intractable partial seizures: report of thirty-nine cases." Neurosurgery 23.5 (1988): 545-556. (2007) Lynam, Laura M., et al. "Frequency of seizures in patients with newly diagnosed brain tumors: a retrospective review." Clinical neurology and neurosurgery 109.7 (2007): 634-638. Source: https://www.sciencedirect.com/science/article/pii/S0303846707001527 Quote: "Brain tumors may lead to symptomatic epilepsy. A retrospective analysis was undertaken to evaluate the frequency of seizure as the presenting symptom leading to brain tumor diagnosis in adults. One hundred and forty-seven consecutive patients with newly diagnosed brain tumors were analyzed regarding the frequency of seizures as the initial presenting symptoms and those subsequently developing seizures." "Astrocytomas and meningiomas were the most common primary CNS tumors in this study." Note: Immediate actio suggested treatment of tumors. - Lori D.
(2005) Hildebrand, Jerzy, et al. "Epileptic seizures during follow-up of patients treated for primary brain tumors." Neurology 65.2 (2005): 212-215. (2003) Vecht, Charles J., G. Louis Wagner, and Erik B. Wilms. "Treating seizures in patients with brain tumors: drug interactions between antiepileptic and chemotherapeutic agents." Seminars in oncology. Vol. 30. WB Saunders, 2003. Quote: "Seizures are a common complication in patients with primary brain tumors or brain metastases that require treatment with antiepileptic drugs (AEDs). However, because many AEDs and chemotherapeutics share common metabolic pathways via the hepatic cytochrome P450 (CYP) isoenzymes, there is potential for drug interactions." Quote: "Seizures can present at any time before or after diagnosis of a brain tumor." (2007) De Reuck, Jacques, Dimitri Hemelsoet, and Georges Van Maele. "Seizures and epilepsy in patients with a spontaneous intracerebral haematoma." Clinical neurology and neurosurgery 109.6 (2007): 501-504.